In cooperation with Paul Taylor we have designed a premium class summing mixer. There are no limits – except from the sky. You have the free choice of a wide range of resistors coming from the likes of Neumann, Filtek or Lavo. Not enough custom yet? Please feel free to let us know your needs. In- and outputs, sends, inserts, maybe passive or preferable active can be realized and put together. To finalize your personalization, we offer unique laser engravements. A demo unit is usually available and can be tested in our environment or in your own studio. Long hours of researching on the web, in other studios or even on tradeshows highlighted a decent lack of availability of suitable speaker stands. Finally it left us without choice and we decided to move on with our own style and grabbed a hammer and welding machine. The result is called – „FOUNDATION“. 70 Kilo of raw steel, placed in a diversity of columns in different diameters fixed our issue and you can and should fill them up with sand, lead or holy sekret. 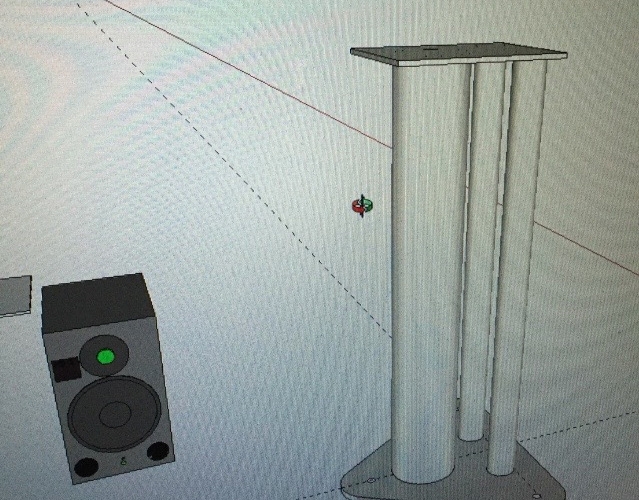 This extraordinary piece will be manufactured fitting your speakers, seating and measurements. The good sound in your room starts right here.